A list of reports, articles, or published letters about funding arrangements or grant programmes. October 2006, article published in the Chartered Accountants Journal and reproduced here by kind permission of the Editor of the Journal. 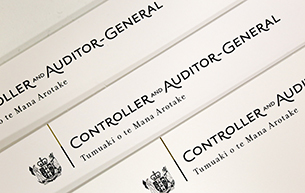 Funding for results - what does the Auditor-General expect? November 2005, paper prepared for the Office of the Community and Voluntary Sector's Good Practice in Action conference. Central government: Results of the 2003-04 audits.